I’m a big fan of the Yorkshire Evening Post, but I’m struggling with its front page “exclusive” news story this morning. Yes, yes, there’s a housing crisis in Leeds. And yes, “it’s time to end it”. 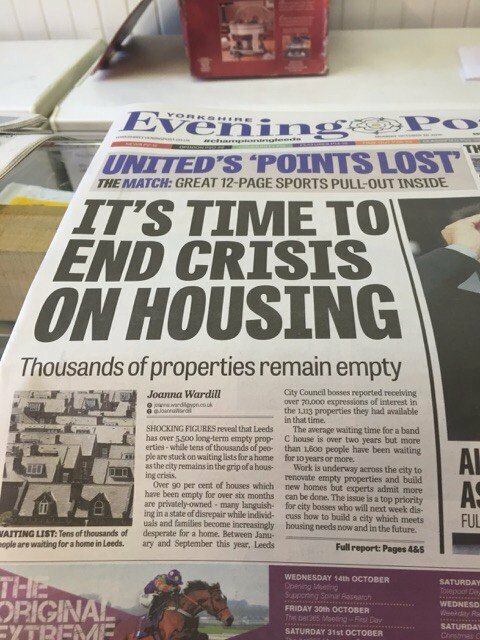 And yes, as the paper says, “Thousands of properties remain empty”. … but what on earth does it mean? The first thing you’d want data of this kind to tell you is: how are we doing? 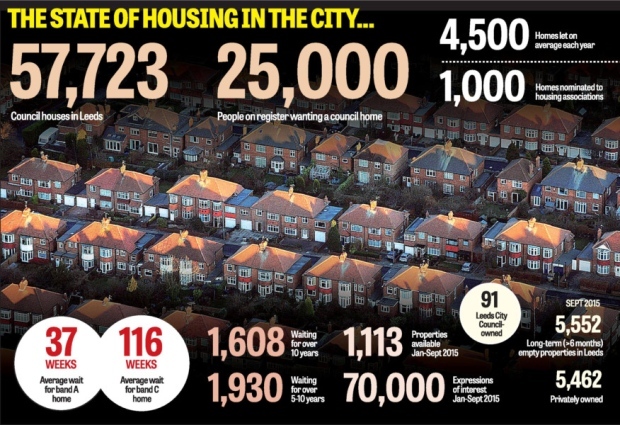 Is there more or less council housing in Leeds than three, five or ten years ago? Are there more or fewer people on the waiting list? How much longer are they waiting to get a house, compared with three, five or ten years ago? How have we been getting on with tackling the blight of empty homes? We know things are bad, but are they getting better or worse? It doesn’t say. It’s a pretty snapshot. There’s no historic data (unless they’ve saved it for the paper’s print edition). And yet there is historic data around. Take the number of people on the waiting list. A quick Google search will find you a YEP article from November 2011 putting the number at 28,000. Today the paper puts it at “around 25,000”. That’s still a huge amount of pressure on the system, but on the face of it it’s less pressure than four years ago. No? How has that happened? Is it a trend? What does it mean for the “housing crisis” in Leeds? Shouldn’t we know? Take the issue of empty properties. The paper today concentrates its front-page story on the fact that there are 5,552 homes in the city that have lain empty for over six months. Bad news. Except, if you look at the historic data, it turns out to be quite good news. Six years ago the number stood at over 9,000, and it’s been falling steadily every year since then (figures below from Leeds Data Mill). How has that happened? What does it indicate for the future? And isn’t that apparent success an important part of the story? In the YEP’s defence, its story today is a “bad news” peg on which to hang the promotion of its latest “Voice of Leeds summit” on Thursday, when “representatives from across the public, private and third sectors will gather at the YEP’s office” to discuss the city’s housing crisis. The trouble is: with our local papers under crazy pressure to keep their heads above water, who do we turn to get the full picture from the available data? As far as I can see, we don’t. We’ll just have to hope that when the experts assemble on Thursday they’ll have at their disposal all the historic data they need to understand what is happening with housing in the city, and not just a nicely designed snapshot. And that one of the participants will try and make sense of it, write it up and share it with us. 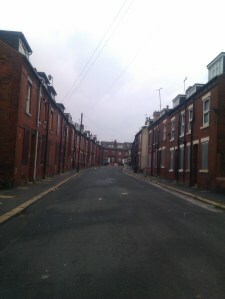 This entry was posted in News and tagged empty homes, housing, leeds, leeds city council, leeds data mill, open data, yorkshire evening post. Bookmark the permalink.